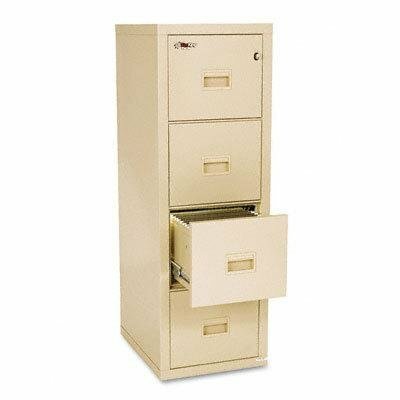 Protect your important documents with the compact, 22" 4-Drawer Vertical Turtle® file and you'll have a lifetime of records security. Turtle files are UL®-rated for 1-hour fire protection with impact. Both letter- and legal-sized documents can be filed in a Turtle and a 4-pin key lock is standard. Turtle files available in Parchment color only.